We are a Hoboken, New Jersey-based specialty bakery focusing on plant-based/gluten-free desserts for wholesale, small and large corporate events, weddings and parties. All of our recipes are all vegan, dairy-free, gluten-free, soy-free, and wheat-free. I have always had a passion for cooking and baking- in fact most of my fondest childhood memories involve being in the kitchen. As the years went by, I continued to hone in on my passion. In 2004 I began spending my free time on weekends baking for close family, and taking decorating workshops and recreational baking classes. I left corporate America and founded OM Sweet Home in 2013 after recognizing a growing need in the community for high-quality vegan/gluten free baked goods. 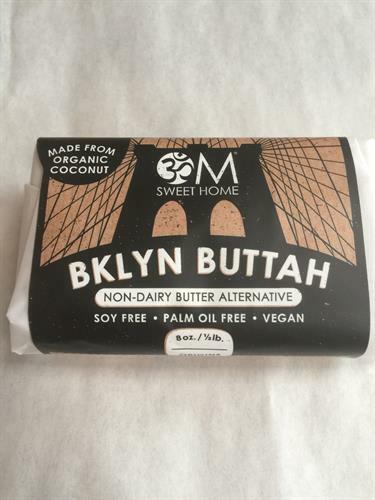 From Power2 Bars to Chocolate Chip Cookies, Peanut Butter and Jelly Bars to our new (dairy-free, soy-free & palm oil-free butter alternative) BKLYN BUTTAH, everything is handmade by me from scratch. I pledge to use only the highest quality ingredients in my recipes. All made-to-order goods are soy-free, palm oil-free, non-GMO, and organic. OM Sweet Home offers local distribution throughout New Jersey and in the greater New York City area. Our new online shop is live. Thank you for taking the time to learn about OM Sweet Home! I welcome your comments, partnership proposals and questions. info@om-sweethome.com.